In the Discover stage of your Journey, you learn how to meditate, beginning with discovery of the proper sitting posture. A solid foundation in meditation connects you with the mind’s natural spaciousness and fosters awareness of how to live in the moment. This awareness promotes better decision making and helps you prioritize and focus on what’s important in your life. By opening the door to the benefits of meditation, this level of the Journey inspires you to keep exploring. 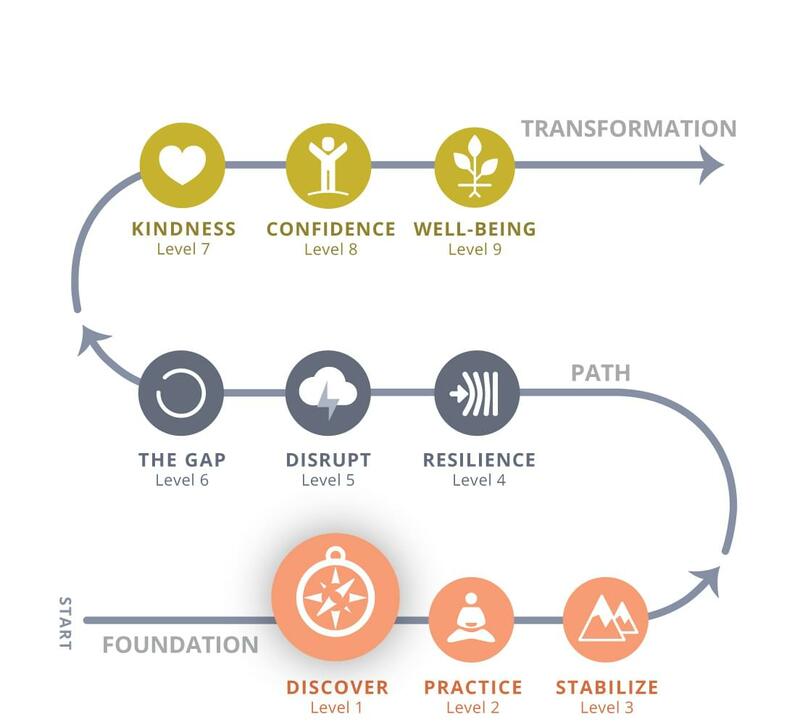 Level 1 Discover is the first stage of the Journey’s Foundation program. The meditation instruction focuses on the initial experience of mindfulness, training in bringing your mind back to the present. Each level takes you on a guided tour of rich content on the App and website. Best of all, it only takes 15–20 minutes of your busy day. Get started on your Mindworks Journey—a progressive path to personal transformation and greater well-being. Sign up now by entering your email address in the shaded box. Be sure you have downloaded Mindworks App in order to access the content.